Brookwood News is back as a new group venture and we very much hope it will be A GOOD THING in the village. The idea is to have a guest editor each month as well as help with proof-reading and organising distribution. We feel strongly that there is still a place for a paper newsletter delivered to everyone in the village. We want to acknowledge the work of Mike Peel and his family who took on the newsletter from Mac Fryatt some years ago. Mike has produced many issues single-handedly and we are delighted that he will continue to contribute to Brookwood News. We hope to produce an issue each month. It will give information about community and social events in Brookwood. We will also try to keep you up to date with building developments and other local news, especially new initiatives. Finally, we want to celebrate people and say thank you sometimes. It may be 2 sides or 4 sides - that depends on what comes in. community brookwood.org.uk and it will be forwarded to the editor of the month. If you would be willing to help with distribution of the newsletter, we would be especially pleased to hear from you. We hope you will enjoy reading Brookwood News. Please do let us have comments, ideas and (preferably kind) criticism. 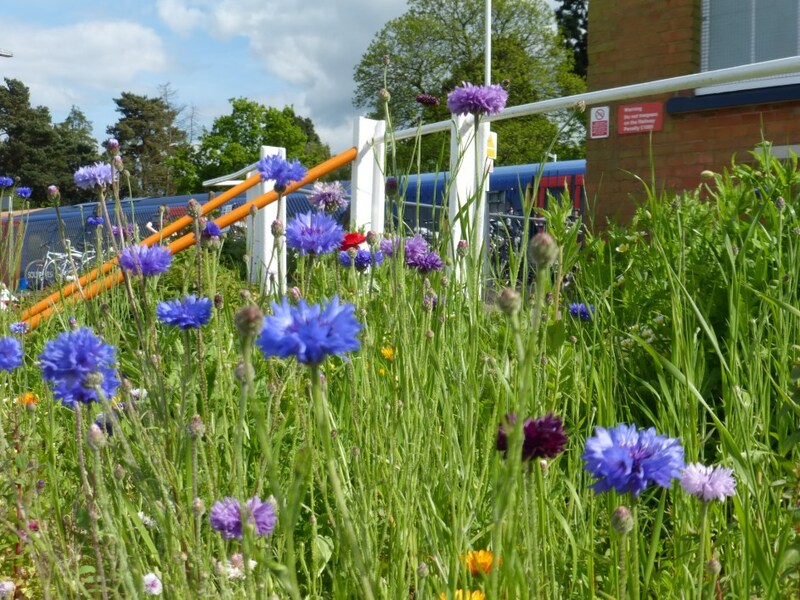 Gold star to Network Rail who have converted a strip of wasteland outside the station into a glorious wild flower meadow. It brings a smile to the face of many a commuter and serves the local bees. More details at the BBNF stall at the Fete. Dear Readers, Brookwood News is Back. Our local councillor, Kevin Davis, gives updates on a number of issues. The Brookwood and Bridley Neighbourhood Forum now has over 150 members, and a management committee starting to make progress. The Forum has successfully applied for a grant; the money will be spent on consultation and marketing. An application for Area and Forum designation has been submitted to WBC and has so far attracted no representations or feedback. It is due to come before Council in July. The Forum will be active over the next six months seeking views of local people. This is your chance to have a direct say in the area we all live and work in. Please look out for the team at the School Fete in the summer, and also look out for questionnaires which should be posted through doors during August or September. I've worked with our resident Gypsy community to our advantage in this matter. Access issues to the new school building have now been resolved and it is expected to open in 2015. You may have noticed local resident Caz Halls of Connaught Road now has a regular column in the Woking News & Mail. Keep an eye out for her news and irreverent comment keeping officialdom in check. Brookwood Memorial Hall has been awarded a grant towards improvement works equating to two thirds of the total project cost. The grant comes equally from Woking Borough Council and Surrey County Council, arranged through the Surrey Community Action organisation. The Trustees have raised the other third through careful management of the Hall's income from hires and the operating expenses. The Hall operates on a not for profit basis, surpluses go entirely to improve the facilities. The Chairman, John Thornton, said "The Trustees are grateful for the Councils' support to this project, which will improve access to the Hall for our users, especially those with physical disabilities. 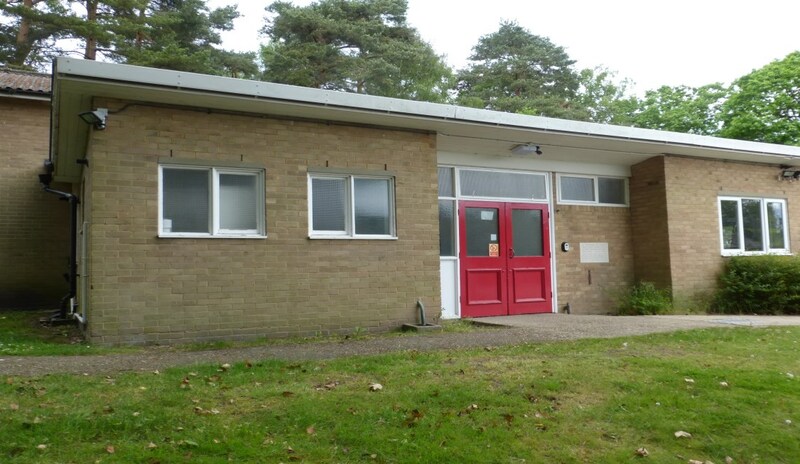 The front entrance and toilets will be renewed and we are also replacing our aged Hall lighting with modern, efficient units that will reduce our energy use and costs." The Treasurer, Andrew Male, said "We are expecting the works to be substantially completed by mid-September this year, August being the least disruptive period for our regular hirers. We appreciate their ongoing support, and their patience and cooperation." Brookwood Memorial Hall is a registered Charity. It maintains the Hall facilities for the social and recreational benefit of all local residents. 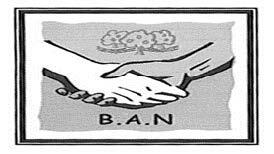 It is widely used by all sections of the community for diverse activities: youth groups; children and adult ballet and dance groups; badminton; drama; and social and recreational uses. The Hall is licensed for social and recreational purposes and is available to hire, with concessionary rates for local residents and charitable groups. Brookwood Memorial Hall was built on land donated by the London Necropolis Company, from funds raised by public subscription, to commemorate those Brookwood residents who gave their lives for our freedom in the two World Wars. Hire enquiries are welcomed, to lettings@bmhalls.org.uk or phone 07757 969231. Dave Green from Wessons writes: "Currently the site is being assessed for demolition and clean up of the contamination, though I've not been given any specific information with regards to timings. We continue to seek alternative sites to move the business, hopefully fairly local." Things go from strength to strength at school. Our pupils are making great progress in their lessons and tackling their work with enthusiasm. We are gearing up to a big theme week entitled "Our World" in which we are studying countries who have qualified for the FIFA World Cup. 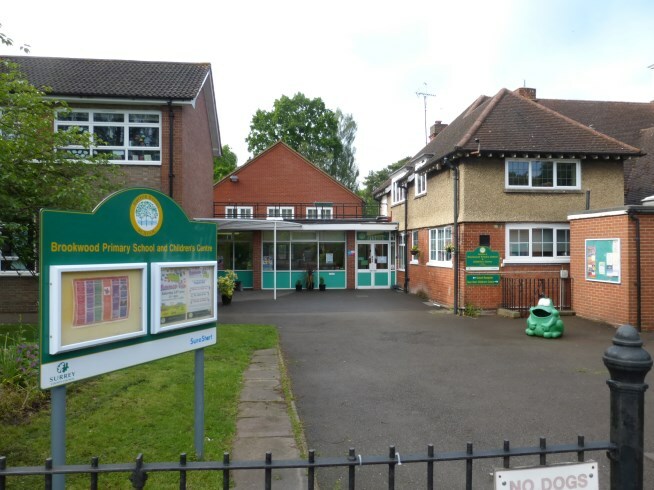 At the end of theme week, the Friends of Brookwood School (FOBS) are hosting the school fete on Saturday 14th June from 12noon to 3pm. We would be delighted to welcome you all on the day! There will be the usual mixture of village stall holders, school stalls and other attractions. The barbecue and beer tent can supply your lunch! This year, the final of the school's five-a-side football competition will take place in the arena and the children will all entertain with an arena performance. You can help out the school in a number of ways. We collect and recycle household textiles (including clothes, curtains, bedclothes and towels - but not duvets or pillows), shoes, old mobile telephones, old ink cartridges and Nestle box top tokens and Sainsbury's Active Kids vouchers (deadline end of June). All these generate much needed extra resources for the school. We also use a site called www.thegivingmachine.co.uk. If you start your on-line shopping from this website and click through to the store you wish to use (it takes about an extra minute!) - then FOBS gets a percentage donation on everything you spend and almost all the big shops are part of the scheme. You need to register and link to FOBS, but that's very easy! We also have a number of volunteers from the village and beyond who commit time on a regular basis to help out around the school. If you would like to join the volunteer team, please drop in and see Mrs Cook. Just so that you know, if and when needed for expansion, there is a beautiful new school building designed and ready to build on the Brookwood Farm site for our Junior classes. There are also exciting plans for refitting the existing buildings for the Reception and Infant classes. A reminder that Messy Church will be held at Brookwood School Fete on 14th June instead of St Saviour's Church hall, so look out for Jo and her helpers there and find out more about Messy Church if you've never been. The 20:20 Puppet team will also be at the Fete. 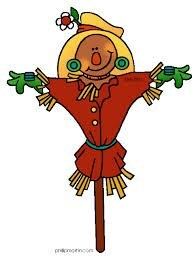 The children's 20:20 Puppets service is usually held at 9:30am at St Saviour's on the first Sunday of each month. On other Sundays, St Saviour's Church has regular services at 10.30am - All welcome. August 17 1909 - April 27 2014. Dora Lambert passed away peacefully in Ashton-Under-Lyne, having moved to a care home there to be near her family. Dora had lived in Connaught Road for many years after moving to Brookwood with her husband George in 1936. George worked for the Necropolis Railway as cemetery general manager but sadly passed away in 1991. Dora was 100 in 2009 and Brookwood News featured her receiving a telegram from the Queen. She continued happily tending her garden, living independently and socialising at The Vyne until last October. She would probably have said that luck and moderation in most things had helped her to live to a ripe old age. Dora's funeral and committal was at Woking crematorium. If you are looking for bedding plants, veg or herbs, in the next couple of weeks please consider Briarwood Nursery in Saunders Lane. They have excellent plants, mostly grown themselves - open to mid/late June. Our Post Office is at the Bakers so we can buy stamps and cake at the same time! We are close to the SSSI of Sheet's Heath where live Belted Galloways and the rare Dartford Warbler. The GP's at Pirbright surgery - even though the daft rules mean they can't dispense for all of us now. Community spirit that you can't bottle. 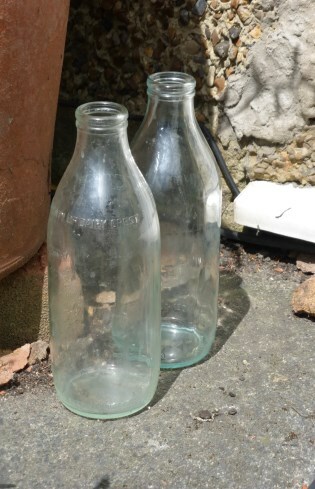 The local firm, Cherrymans Dairy, (founded in 1925) made their last delivery in mid May, as they are no longer able to compete with supermarket prices. Thank you to Ian and his staff for their sterling service through all weathers and we wish them the best for the future. 92 Connaught Road - from 4pm until midnight. The Club will be open from 12 noon. with all proceeds going to Woking Hospice, and a disco/live music from 8pm. Our volunteers have now completed over 400 tasks for clients in the village over the 4 years we have been going. New volunteers are always needed so that we can continue to work for the benefit of the village. As well as volunteers to carry out requests (usually driving), we also need duty officers who will be responsible for the BAN mobile phone from their own home week-day mornings on days to suit themselves. It is really not too onerous! If you are interested in helping BAN with either of these tasks, please ring 07931 239365 between 10am and 12midday Monday to Friday for further information.